My cousin Pete came over from Australia to ride with dad and I in Ireland for the ‘National’, which necessitates a whole, horrid, long van journey, during which of course we talk about all sorts, though often back to motorbikes. I invariably say: “I’d quite like one of them” about pretty much anything motorcycling, as well as various other cars, vans, pick-ups, motorhomes, bicycles, and anything else (garage snacks!) encountered. At one point Peter said something along the lines of: “Jeez, is there anything you don’t want?” in his Australian-intonated (he’s been there 20 years) accent. Though it did make me think a bit, mainly that it’s perhaps I’m just ‘suggestible’ in the ‘monkey see, monkey do’ manner… Anyway, owing to transport issues (the original hire van broke; a long, frustrating – and expensive – story…), we took one bike each to Ireland. For me it was my 1927 Long-stroke Sunbeam. When it seized within the first hour of the first morning, it looked like being a fairly miserable trip. Still, it freed off, I got it going again and though there were a couple more glitches, it kept running all week. Basically, the Best and Lloyd pump casting had started to disintegrate, so I was hand-pumping the oil in directly (happily it has a supplementary hand-pump) and as I got used to as and when, it improved no-end. In the end we had a great time, a couple of other minor issues (dad had a puncture, the engine shock absorber made a dive into the hedge off Pete’s (exposed primary drive) bike but that aside, all was well. The next weekend cousin Peter and another cousin Dan joined us for a lovely ride out around the Norfolk coast, with several other pals joining us too for my 40th birthday. The only disappointment of the day was the lady had run out of fresh crab at our allotted lunch stop, so I had to make do with whelks, shell-on prawns and crayfish tail sandwiches. Having abused the Sunbeam thoroughly in Ireland, it was the turn of the Rex-Acme, while Pete was able to get some miles on his 1928 K10 ‘cammy’ AJS, having borrowed dad’s K8 (ohv) for Ireland, owing to the K10 being freshly restored and unproven. But it did 120-odd miles with only a couple of minor hiccups, and as Pete has returned to Aus, it is staying over here for a while now – so I’ll be putting some miles on it too, and there will also be a feature coming up. Tim Britton, Rachael Clegg, Jonathan Hill, Roy Poynting, Richard Rosenthal, Martin Squires, Jerry Thurston, Alan Turner, Andy Westlake, Steve Wilson. A different take on ‘TT racing’ is presented to a British audience. Three overhead valve SS100 Brough Superior projects headline Bonhams’ Stafford sale on October 14 and the preceding day, Saturday October 13, sees the sale, at the same venue, of the fabulous and eclectic Adrian Reed collection. Details at bonhams.com or call 0208 9632817. If you’re arriving by motorcycle for the NMM’s open day, parking is free – it’s a ﬁver for a car. Eurojumble a hit Thousands of visitors from across the UK and beyond basked in the sunshine after flocking to Netley Marsh on Friday, August 31 to Saturday, September 1 to enjoy two days of the Carole Nash Eurojumble, the UK’s largest bike autojumble. The Carole Nash Eurojumble, celebrating its 25th year, proved another successful event for traders, with all plots being sold out while Charterhouse sold over two-thirds of the lots at the on-site auction. Sam’s V-fours at Stafford Courtesy of the Sammy Miller Museum, two fabulous V-four two-strokes will be at the Classic Motorcycle Mechanics show at Stafford over October 13/14, on the Footman James stand. The V-four Villa was built by Walter and Francesco Villa, though the FIM’s late 1969 eligibility changes ruled it out, while the V-four 350cc Jawa was reckoned to be producing 80bhp in 1969. Electrics supplier and guru Paul Goff is moving home and business to larger premises on October 17, so there will be around two weeks’ disruption to the normal mail order service. The new address is 49 Chequers Lane, Prestwood, Bucks, HP16 9DR, while phone number 01494 868218, email and website (www.norbsa02.freeuk. com) remain the same. Machine tools supplier Warco has installed a new telephone system, with more lines and better access to their technical section. Fibre optic lines will ensure improved clarity. 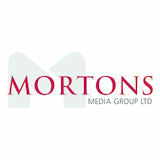 The main number, 01428 682929, remains the same and callers can select from the options offered. Warren Machine Tools Ltd are at Warco House, Fisher Lane, Chiddingfold, Surrey or www.warco.co.uk. Peace and the future was the big topic – many had written ‘nothing will ever be the same again.’ However, the cessation of hostilities would mark a new era for motoring and motorcycling. The pre magneto days of trembler coil ignition and associated accumulator problems have been long swept away, replaced by magneto ignition. Likewise the adoption of gear systems and then countershaft gearboxes as the world was building up to war provided motorcycle flexibility and reliability hitherto unknown. If one regarded the pre magneto and multi gear systems as the first epoch of motorcycling, then the second epoch began a few years before the outbreak of war. Had the war started a few years earlier, before the development of magneto ignition, gear systems, more powerful and reliable engines developed in part thanks to Tourist Trophy races and ACU trials, then the horse would have prevailed dispatch rider work and motorcycles would have remained on the sidelines. During the war, the 60,000plus machines supplied direct to the Allied military and the many civilian models pressed into service as the war started proved beyond doubt the tough, reliable nature of production motorcycles. Now, the motorcycle industry would be able to look forward to a secure future, providing machines for sport, leisure, utility and business roles. encouraging reply stated there would be advantages in uniformity in having the same rule of the road as many other countries, but it would require the reconstruction of omnibuses, traffic signals and signs. He then added it wouldn’t be practicable to change during wartime. whose Matchless Metisse suddenly slowed with a gearbox problem. The pair touched and both came off – Hartle slid into the bridge scaffold while Blanchard was unhurt. John Hartle was a great sportsman and ambassador for motorcycle racing. and with options including ABS, deliveries of the 80bhp, four-valve per cylinder head boxer twin were scheduled to commence early the next year Richard Rosenthal. cradle frame, unitised semi-unit construction engine with enclosed valves, and geared primary drive. On a ‘works’ Indian Freddy Dixon took second place in the 1923 Senior TT in the Isle of Man. Intending to stay in the US for only six months, Franklin never returned to Ireland, being joined by his wife and daughter in 1920. Tragically, this refined, enigmatic man died of cancer in 1932 at the age of 52. Charles was in the thick of all the engineering activity at Indian. He was still in charge of design engineering at the time of his death. The design work he performed or co-ordinated during the 1930-32 period laid the foundations for the new, modern Indians that would see the company out to the end of its day in 1953. This excellent book not only chronicles Franklin’s fascinating family history and life and times in Ireland, but also contains detailed descriptions of early TT races. Much new light is also shed on the history of Indian motorcycles and the often turbulent times of the Indian Motocycle (Sic) Company itself. It is an absolutely essential book for Indian enthusiasts and motorcycle historians alike. This is, in my opinion, one of the best motorcycle history books in recent years. Reviewed by Jonathan Hill. Memories of JABS JABS in period. Last we heard, it was owned by Norton guru Stu Rogers and made an appearance at Goodwood a few years ago. £100. I would love to know its whereabouts now. When I owned it, it had been fitted with shortened Roadholder forks and was sprayed red – a lovely bit of the past. Talking of the past, I remember selling two prewar HRD Rapides (one DUR99, the road test one) to Richard Scudder for £100 – those days are long gone! I never paid more than £50 for a bike, except once paying £150 for a Vincent Black Shadow with a slight knock in the big-end! I would also like to know what happened to Chris Williams’ two-speed Scott, as tuned by Clive Waye. I remember someone telling me Chris entered the Scott at Brands in an all-comers race (of mainly Manx Nortons) and came fifth! J A Coulson, Bourne, Lincs. 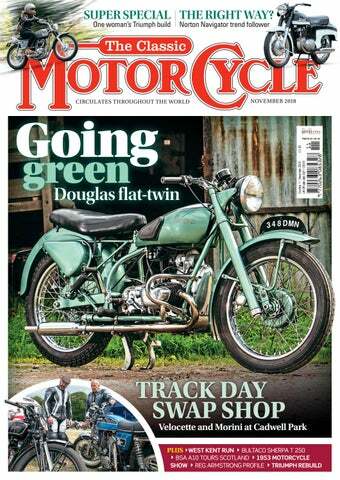 More about Roy Battson Interesting contribution about RKB by Mike Knowles in the October issue (p12) and it is good that, perhaps, his 1959 AJS survives. This was, I think, the last bike he owned, and one of his earliest was a 1925 Model 18 Norton, bought new from Guildford dealers Crow Brothers. He said in his biographical memoir: “It was I think, the best of the 14 bikes I have owned in my life... It was, for its day, one of the finest motorcycles ever offered to the public.” Of course, I agree wholeheartedly with this viewpoint! I attach a scan of typical publicity from the period. Simon Grigson, via email. The OK Supreme now owned by Graham Crowley, as discovered in 1967. The receipt is from when Stewart Would bought it. winner. He has kept me fully in the picture right throughout the re-creation process, for which I am really grateful. And what a stunning result – a million miles from the heap I discovered all those years ago! I attach a photograph of DKH 856 as found, after removal from the coke heap. I also managed to find the original receipt in my archive. I hope you’ll find something of interest in my ramblings. Stewart Would, Rolston, East Riding of Yorkshire. Writing from Abington, Massachusetts, saying that we really follow your magazine every month and we wonder if we can offer to display our beautiful Triumph Thunderbird Blackbird. Thanks again! Marcelo Villada, via email. The wonderful 250cc Morini racer. Provini oh-so-nearly beat the mighty Honda fours with it in 1963.
the flesh it was small. The 250cc single was ridden by Tarquinio Provini and Giacomo Agostini among others. Terry Birch, Bulwell, Nottingham. The handsome Blackbird version of the Thunderbird, at home in America. Unsurprisingly, many overseas riders also ride machines from manufacturers that are less familiar in Britain, adding to the enormous variety that the run succeeds in encouraging to have an enjoyable interlude along the roads of the event’s eponymous county. Wandering the lines of bikes on display in Sunday’s public exhibition, it would be just about impossible to find two identical models. There is a 30-year cut-off rule for entry and owners – some bikes will have had many – will have added personal touches. For instance, Ian Watkinson’s Sunbeam S8 was well restored, but eschewing sombre factory colour choices, it looked splendid in a striking shade of blue. While the run has been based at several locations during its long history, in recent years The Friars, the Aylesford Priory, has served the event extremely well. With social runs on the Thursday and Friday preceding the main run, the camping grounds start to fill quickly. The French riders maintain an imposing presence, as many enter under the APAPA club banner (Association des Pétrolettes Anciennes du Pays d’Auge, since you asked) of which membership is a matter of considerable, and often demonstrated, pride. At 9am on the Saturday morning, the first riders were despatched from The Friars. On a run for older bikes it seemed quite appropriate that a steam train provided a temporary pause for this Triumph rider at the Kent & East Sussex Railway. Left: Terry Soan had this rare 1948 BSA M33, an early example of when the factory was marrying longestablished M20 cycle parts with the new B33 engine. Right: John Reader and the rare Matchless Model M that spent years buried beneath a collapsed shed. Chris Tullet looks like he’s enjoying his ride out on his 1938 Panther Redwing outﬁt. His passenger looks less convinced. Colin Ellis pronounced himself very happy with the well-used 1956 Velocette MAC he has owned for some 15 years. village steeped in history, before the drop down across the Weald and the return to The Friars. Remarkably few did not complete the run under their own power. They were looked after by a recovery crew led by Brian Southam. In the true spirit of running older bikes, a mechanical casualty was regarded as a challenge and Brian and his crew managed to sort out most problems, returning to The Friars with just a couple of bikes with which they had had to admit defeat. The day the show opened to the public and obviously a popular destination as a stream of visitors continued to arrive until late in the day. The gymkhana arena was the main focus of activities, with the marquee, housing the competition bikes at one side and the other three sides being lined with the bikes that had been on the previous day’s run. It was also the day for the concours competition. Never afraid to play to the crowd, Den and Christine Etheridge display their enthusiastic teamwork in the gymkhana with their Ariel VB outﬁt. Peter and Eliza Buchmann rode this A65 from Switzerland. Their efforts garnered the ‘Long Distance’ award. to fabricate a complete new tank. Like its owner, Ted Rowland’s Raleigh came from the Isle of Wight. It bears the ‘DL’ registration mark, respected, even coveted, among Island folk. Ted’s former boss had abandoned the machine many years before and the shed that once protected it eventually collapsed on top of it! Ted had felt a moral obligation to do something with the bike and once he started the project, he kept to very high standards. Nicholas Field’s 1931 500cc BSA took the award for bikes from the next decade. A rare model now, the sloper side-valve has styling cues found on many later BSAs. A third of the entry rides bikes from the 1950s while the next decade also provides a significant number. Classes are divided into five-year periods. This resulted in two awards for the Sharman family, as father and son each had a Triumph Trophy, but one was 1959, the other 1962. It was hard to believe that Peter Watkinson’s superb R51 BMW had ever been started, let alone ridden. Black, silver and totally immaculate. The ‘Best Special’ was worthy of note. With ingenuity, anything can be made to fit anything, but the art of the special is to make it look as if a factory designed and built it. Andy Montgomery’s efforts certainly looked convincing. He started with a 1937 Francis-Barnett 250cc Stag engine and mixed a cocktail of parts to create a purposeful-looking, motocross styled ride. Identifying the constituent bits made an interesting challenge. Event chairman Ron Wright presented the awards and declared he was very happy to record this year’s event had run smoothly. On January 1, 2019, entries open and next August another West Kent Run will roll around – whatever else End happens in Europe!